Stephen has recently reached a higher state of consciousness. His energy is now finer and stronger. It connects us with PARAMATMA, the purest form of Light which heals on all levels of our being, from the depths of inner silence and peace. The process begins with a relaxing meditation. 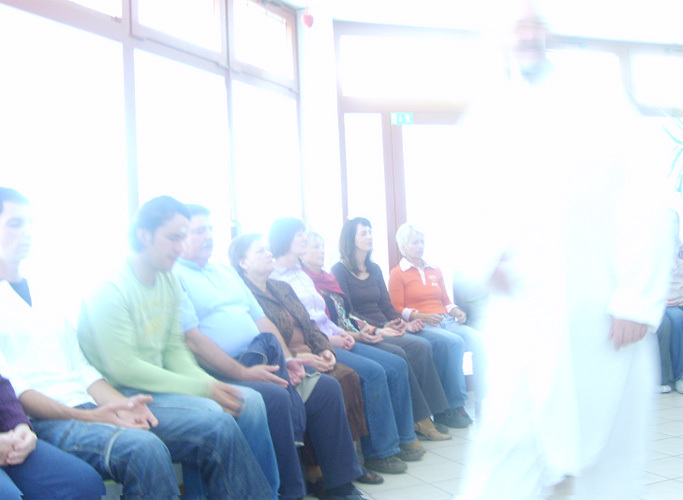 Then Stephen briefly addresses the group thus raising vibration and preparing us for the treatment which follows. Stephen manifests SHAKTI (the divine energy) as a vortex in the middle of the circle. The electrical charge of this light enhances our life force and brings deep purification and renewal to our cells on the ethereal (subtle) as well as material level.